Seven-League Boots: legendary boots that enable the wearer to walk seven leagues in each stride. Our heritage hard apple cider is made from organically grown apples and matured on lees for nine months. Roxbury Russet (34%), King David (30%), Golden Russet (22%), and Cox Orange Pippin (14%) produce a dry cider with notes of peaches and passion fruit. 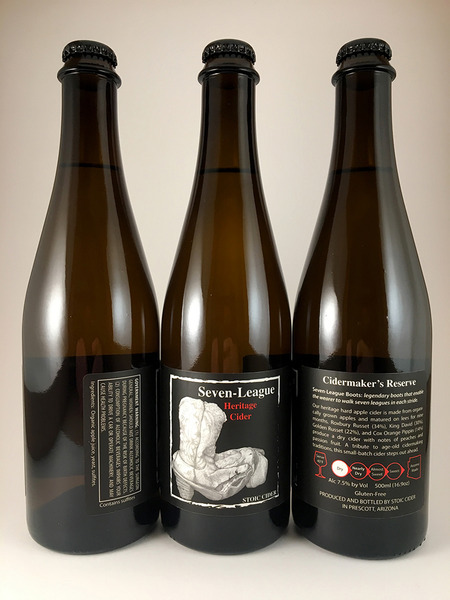 A tribute to age-old cidermaking traditions, this small-batch cider steps out ahead.